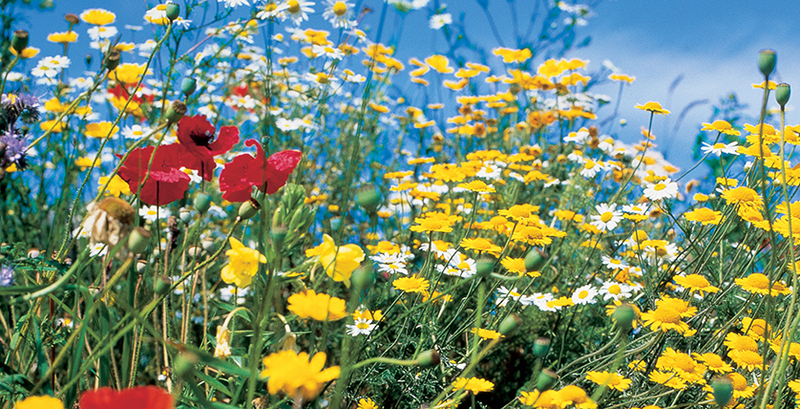 Intensive – a layer of soil (1000mm plus) in which a variety of plants and trees are grown. These roofs are often used for recreational purposes and require frequent maintenance as well as placing significant loading on the building structure. Extensive – these are generally formed from a shallow layer (25 – 100mm) of substrate planted with a low growing moss or alpine species such as Sedum. They are lightweight systems and require little or no maintenance. Semi-extensive – a slightly greater depth of substrate than extensive (100 – 200 mm) these allow a greater diversity of plants to be grown, but are based on the same principles as extensive roofs and are medium-light weight and relatively low maintenance. Construction involves a series of functioning layers that, while retaining the necessary water to support the plants, allow excess water to drain off and protect the roof surface from plant roofs and mechanical damage. 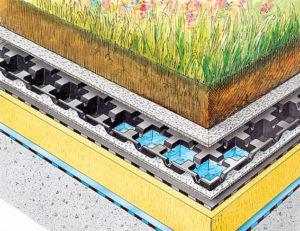 Triton offers a RIBA approved CPD seminar entitled ‘Living/Green Roofs’. The seminar focuses on the installation of green roofs, the benefits to be gained, the design principles and construction processes and further considerations. To book this seminar please visit the RIBA CPD seminar page on this website.